Do you live in Roswell? Over 95,000 people call Roswell home. That›s about 30,000 households and 1/3 of them have children under 18. Unemployment is a low 4.2%. That means you are likely to have kids and work - which leaves less time for housecleaning! Whether you are working or retired, kids or grandkids, wouldn't it be nice to leave the cleaning to someone else? Did you know? Roswell is the 9th best southern city to live in according to Southern Living. If you are having trouble finding a good house cleaning service then you should contact Image Maids. Our highest priority is to clean your home the way you want it, and we go the extra mile to make sure our clients always have the best possible experience. We clean houses daily in Roswell, GA. Because we know that when you don’t have to worry about keeping your house clean looking the way you want, you’re happier. We offer a wide range of housecleaning services to meet the needs of our diverse clientele. Our core offerings comprise the services most often requested by our clients, and are listed below. You can also check out our basic package for a deeper clean or our deluxe offerings for that true spring-cleaning effect. And we offer move-in/move-out services for tenants or previous homeowners who want to leave their houses sparkling clean. When you need more than just a basic or core cleaning, you need a deep clean, or a deluxe cleaning service. This service gives you the most deep clean for your home. Our deluxe offerings are the most comprehensive cleaning package. The places you spend the most time are the places that accumulate grime the fastest, which is why we start with high-use areas like kitchens, bathrooms and floors. If you need additional services, we are happy to add on. We offer flexible scheduling too, on a weekly, biweekly, every three weeks or monthly basis. If you like, you can request different services at different appointments, to keep your home looking exactly the way you like it. Ready to get a customized quote or to schedule the cleaning appointment your home deserves? Our friendly staff is always happy to answer questions or help you create a cleaning plan tailored to your individual needs. Call (770) 475-8700 to set up an appointment today. Roswell is located in northern Fulton County. It is bordered by Milton, Alpharetta, Johns Creek, Sandy Springs. The southern boundary of the city follows the Chattahoochee River. It is the 7th largest city in Georgia. Fun Fact - Not to be confused with Roswell, New Mexico, which is famous for UFO's. Situated just 20 miles north of Atlanta - three historic homes speak volumes about the history of the American South from 1838 to the present. 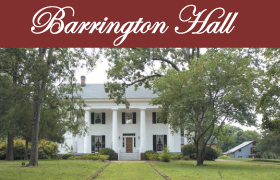 Barrington, Bulloch and Smith, a trio of antebellum homes, are open to the public for visits and exploration. The Kings - Roswell’s Founding Family Well-known as one of “Metro Atlanta’s 50 Most Beautiful Homes” (Atlanta Magazine) and recognized nationally as one of the best in Greek Revival architecture, Barrington Hall sits on seven acres in downtown Historic Roswell. 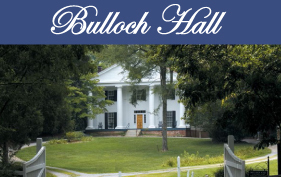 Glimpse a Presidential Past: The Bullochs ~ Roswell’s Social Aristocrats Mittie Bulloch, daughter of Major James Stephen Bulloch, grew up here in a family of privilege, and married Theodore Roosevelt, Sr., in this home in 1853. Their son, Teddy, became President of the United States.